Best ways to Detect Virus in Windows PC / Laptop: Is your personal computer running slower than usual? 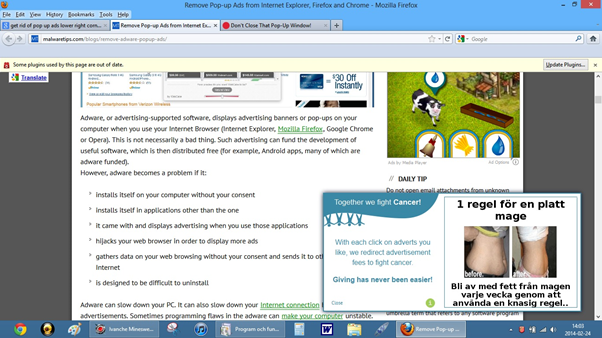 Are you getting lots of pop-ups as you browse about Windows? Or have you seen other weird problems crop up? If so, your PC might be infected with a virus, spyware, or any other malware–although you have an antivirus program installed on it. Though other problems, such as hardware issues, can produce similar symptoms but it’s better to check for malware if you aren’t sure. But you don’t necessarily need to call tech support across the street to scan for malware—We’ll show you how to do it yourself. One of the biggest fears among the new computer users is being infected by a computer virus programs which are primarily designed to steal or destroy personal data. 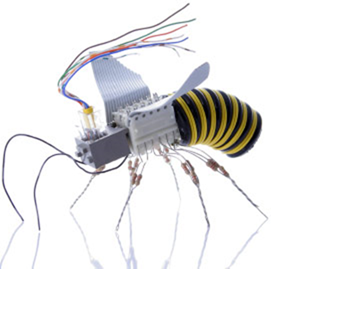 Viruses are malicious programs designed by people to cause destruction and deployed to create havoc on the targeted computer system to support the intentions of the hacker. These types of malicious codes generate on the Internet and are growing in numbers every day with the majority of the infections in computer systems caused by the failure of not following best security practices. To detect a virus, there are two vital issues that must be addressed. First is to understand the symptoms of an infection and second is to have an anti-virus software application with inbuilt real-time protection mechanism . So what types of malware can your computer get? Well, just like diseases a person can get, the list is a long one that can be broken up into some categories because each infection can have a unique strain or mode of infection. Backdoors – This type of malware attack creates a software hole in the computer which creates a sort of open door policy allowing an attacker to run anything they want to do on your computer without being stopped by your computer’s defenses. Trojans – These type of infections act just as their name predicts. A seemingly harmless file, when turned on to run unleashes nasty code that tears down your personal computer’s defenses from the ground. These often include backdoors which make for a fatal combination. Rootkits – In my view, these are the worst infections out there. Not only does this malware infect your personal computer, but it fights back! If the infection gets stopped, a rootkit can restart itself, copy itself or even move. These are masters in the art of concealment, and often make removal next to impossible. Computer viruses come in different shapes and sizes, but the thing they have in common is that they are detrimental to your computer’s health. These effects vary wildly, but this guide can show you how to spot the signs of a typical virus infection. How to Detect Virus Infection in Laptop or Computer system? There are mainly 3 methods to detect the virus in a computer . They are as follows. Check the activity of your hard drive: If you aren’t running any programs and your hard drive light is constantly turning on and off, or you can listen to the hard drive as still working, you may have a virus that is working in the background. Examine how long it takes your computer to boot up: If you start noticing that your computer takes significantly longer time than usual to start, a virus may be slowing down the startup process. If you can’t login to Windows, even with the correct login information, a virus has most likely taken over the login process. Look at your modem lights: If you don’t have any background programs running and your modem transfer lights are constantly blinking, you may have a virus that is transferring data over the network. Make a summary of program crashes: If your regular programs start crashing more frequently, a virus may have infected the operating system. 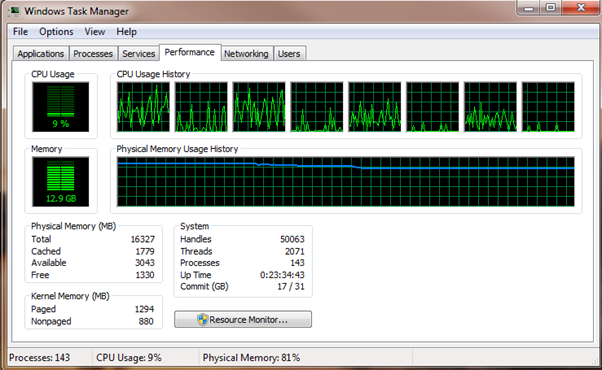 Programs that take a longer time to load, or that perform extra slow, are also indicative of this. 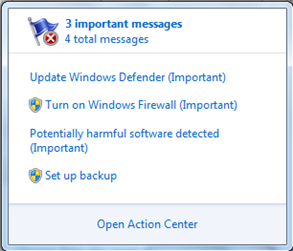 Look for popups: If you are infected by the virus, you may start seeing messages appear on your screen, even if no other background programs are running. These can include advertisements, error messages, and more. Viruses can also change your desktop wallpaper without your consent. If you find yourself with new wallpaper that you didn’t select, chances are you have a virus. Be wary of granting programs firewall access: If you get constant messages about a program requesting access to your firewall, that type of programs may be infected. You are receiving these messages because the program is attempting to transfer data through your router. Watch your files: Viruses often delete your files and folders, or changes are made without your permission. If your documents are disappearing, there is a good chance that you have a virus. Talk to your friends and colleagues: If you have a virus infection, your mailing list may be receiving messages that you did not send. These type of messages often contain more viruses or advertisements. If you hear that others are receiving these type of messages from you, you most likely have a virus. Run an antivirus program: Always you should have an antivirus program installed and running on your computer. If you do not have, there are various free programs are available online, such as AVG or Avast. Download and install one of these programs to secure your computer. If you can’t access the internet because of the virus infection on your computer, you may need to download the program on another computer and then transfer it to the computer that is infected via thumb drive. Several websites have banners that claim you are infected. These are almost always scams or fake statements, and you should never click these warnings. Only trust your installed antivirus software to detect viruses on your system. Boot into Safe Mode: Your installed antivirus program will work much more effective if you run it in Safe Mode. To enter Safe Mode, reboot your computer and frequently hit the F8 key until the Advanced Boot menu appears. Select Safe Mode from the menu. These are the best 3 methods to detect the virus in your windows computer or laptop. I hope this article will help you to know whether the virus is in your system or not. If you have any other methods to find out about the virus in our system, kindly comment them below. We will take your suggestions and will update them in this article. Stay tuned to Alltop9.com for the next article about “How to remove the virus in a computer/laptop“. Very well explained,really useful information. Glad that our article helped you with good information. Keep visiting for more stuff. Hi, Lasya and Wow!! thanks for sharing this informative as well as fabulous post.